Sikandar is a singer and musician born and bred in Pakistan but is now residing in the UK aged 24, he grew up listening to legendary singers and vocalists like Ustad Nusrat Fateh Ali Khan, Mohammed Rafi, Noor Jahan & Shazia Manzoor including many others and has learnt from them all his life and now is eager to make his mark on the industry and take the first step to becoming an artist himself. Leading upto the release Sikandar has been very active, already appearing at gigs all over the country and also touring the biggest cities in Pakistan. He was part of the opening season of “I’ll make you famous” which was a huge success on BritAsia TV. Hosted by Dj Sanj, in an Asian X Factor style reality show. Sikandar impressed the celebrity judges and the professionals on a weekly basis. This led to him finishing as runner up to Mani Kaur but Sanj called it “splitting hairs” between the finalists. 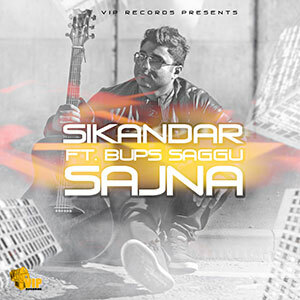 Get ready for Sikandar as this is merely a taster of what is to come from this talented musician. A humble young man who is keen on making his mark in the Industry.